DETROIT (Reuters) -- General Motors' decision this week to give back up to $10 billion to shareholders over the next two years will likely delay one of its important goals: achieving a top-tier credit rating that would benefit its growing auto finance unit. The No. 1 U.S. automaker has been building its GM Financial unit through acquisitions and more aggressive marketing to dealers. Automakers use in-house lenders to offer discounted financing on new cars and trucks for consumers and dealers. Reaching a single A credit rating would give GM greater flexibility to fund GM Financial at lower cost. 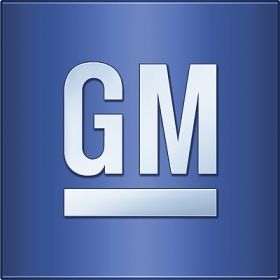 Moody's has also delayed its timeline for a GM upgrade, senior vice president Bruce Clark said. "The likelihood of ... being able to look at the rating for something positive happening is probably not going to happen until '16," he said. Moody's has an investment grade rating on GM's corporate credit facility, but its senior unsecured debt is a notch below investment grade. GM CEO Mary Barra said maintaining an investment-grade balance sheet was key. President Dan Ammann said "a solid investment grade credit rating is a critical pillar of our strategy" in relation to GM Financial. Chief Financial Officer Chuck Stevens said GM did not expect any negative impact on current ratings. The credit agencies said GM's rating is likely to tread water, especially until it becomes clear how much the company will pay in costs related to litigation over delayed recalls of millions of vehicles with defective ignition switches. Operating costs also could rise after GM negotiates a new labor deal this fall with U.S. hourly workers. Fitch Ratings, the third major rating agency, has GM's credit rated a step below investment grade with a positive outlook. Analysts expect an upgrade within months, but they expect Fitch to join the others in waiting after that before moving the company's rating up again. Fitch senior director Stephen Brown said his agency could take a negative view if GM's cash position dipped below $20 billion for a prolonged period. Meanwhile, rival Ford Motor Co. says it wants to achieve a single A credit rating by 2020. Goldman Sachs credit analyst Brian Jacoby said he is sure GM has a similar goal, but has not spelled it out. “It would have been nice to hear them say a little bit more about ultimately how they want to have higher debt ratings,” he said.